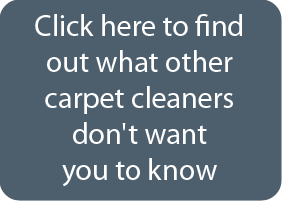 Welcome to ChemFree Carpet Cleaning! We provide old-fashioned customer service, superior results, honest information and bids with NO hidden costs! We care about you and your residential or commercial carpet cleaning needs. Give us a call, you’ll be glad you did! NO CHEMICALS – We use really hot, atomized H2O – guaranteed! Get clean carpet the right way! WE GUARANTEE to never push water through the backing and into the pad. Wet pad and backing can be a big problem! CERTIFIED cleaning equipment, solutions, firm and technicians! Our expertise pays big dividends! We clean area rugs RIGHT IN YOUR HOME saving you time and money! No more pick up, delivery or empty rooms! CHEMFREE CLEANING® with super hot water pulls harmful chemicals and allergens out of your carpet leaving them clean and sanitized! QUICK CARPET DRY TIME No more waiting forever for your carpet to dry. With ChemFree you can get back to your life sooner than later! Our cleaning solutions are Carpet and Rug Institute Certified Green Seal products. This means that they are not harmful to you, your family, your pets, your indoor air quality, or the environment. And nothing gets better results! The best clean with no chemicals! The ChemFree way! We are not your typical Steam Carpet Cleaner. Our technology is a definite upgrade. With our cutting edge Vortex 7000 cleaning system, we have absolute control of our water! No more steam pouring out and damaging your trim, paint or furniture. We are a respected leader in the Minneapolis metro area providing.